Step by step installation of Belarc Advisor program for personal use to get the PC hardware and PC software information. 1. To get the computer information / profile includes: Computer Name, Operating System, Processor, Drives, Users, Controllers, Bus Adapters, Communications, Virus Protection, System Model, Main Circuit Board, Memory Modules, Local Drive Volumes, Network Drives, Printers, Display, Multimedia and Other Devices profiles. 2. List Missing Microsoft Security Hotfixes. 3. List Installed Microsoft Hotfixes. 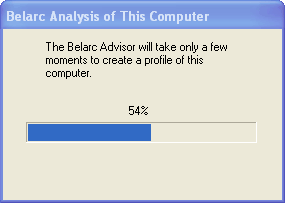 Now lets start the Belarc Advisor installation process. 1. Download Belarc Advisor from the official web site. After finish with download, click on the advisor.exe to execute the installation program. 2. The Belarc Advisor Installation should appear after few second (window as on figure below). 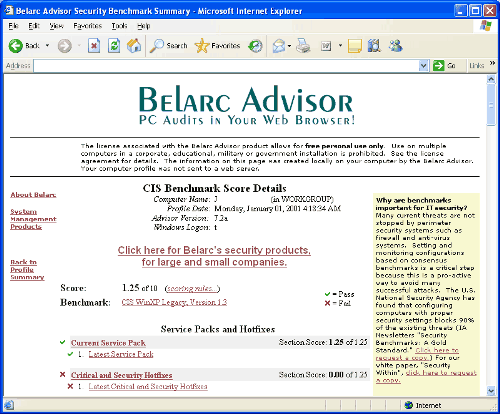 This information window only show the welcome message for the Belarc Advisor Setup program. 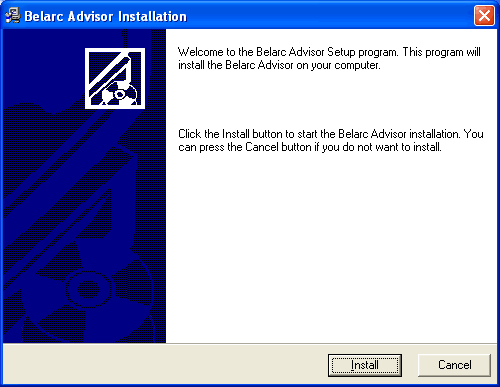 To proceed with the installation process of Belarc Advisor program, click on the Install button. 3. Installing process percentage show on the progress bar. 4. Then the Belarc License Agreement appear, read the license agreement carefully. One of the highlights in the license agreement is that you can install and use the Belarc Advisor program for personal use only. 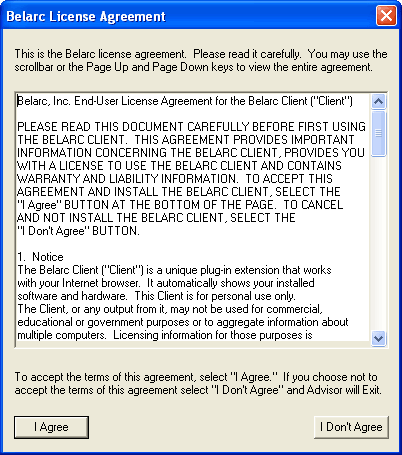 Click on the ‘I Agree’ button if you agree with the License Agreement that comes with the Belarc Advisor program and continue with the installation process. 5. The Belarc Advisor then start to analyze your computer system and then create the profile of your computer. 6. Then the web browser should appear and show you your current computer profile summary. 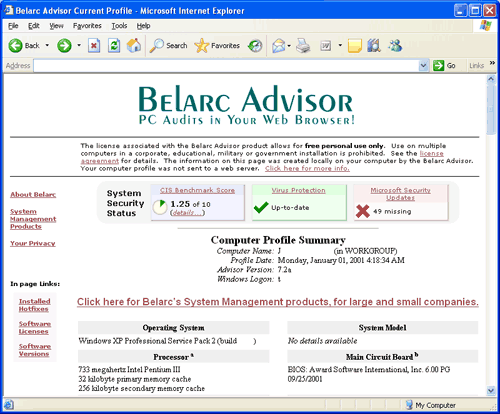 Figure below show the example of Belarc Advisor Current Profile show on the Microsoft Internet Explorer window. 7. To view on CIS Benchmark Score Details, click on the System Security Status -> CIS Benchmark Score. Keywords: belarc advisor installation, belarc advisor program, audit pc, pc information, Missing Microsoft Security Hotfixes, Installed Microsoft Hotfixes, List Software Licenses, computer information, List Software Versions, computer profile, Computer Name, computer Operating System, computer Processor, computer Drives, computer Users, computer Controllers, computer Bus Adapters, computer Communications, computer Virus Protection, computer System Model, computer Main Circuit Board, computer Memory Modules, computer Local Drive Volumes, computer Network Drives, computer Printers, computer Display, computer Multimedia computer Devices profiles.